We offer a personal, flexible service, and make decisions on a case by case basis. The outcome of your application is decided by a member of our team who takes care to get to know you and your business through the application process and beyond. Whether your ambitions are to set up, grow, or diversify, our aim is to help you reach your goals. Our lending managers understand the hospitality and tourism sector, and will always be on hand to give you support and advice, and introduce you to a range of helpful industry contacts. If you are new to the industry, or looking to grow your business, check out our hospitality guide. It includes advice from industry thought leaders and our trusted and knowledgeable partners. 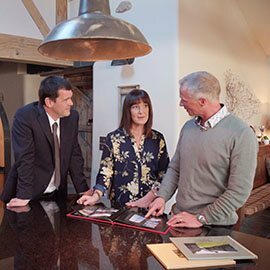 It has all of the key things to consider when setting up and running your business, from tax essentials to getting guests through the door. Established in 1850, we’re a building society run for the benefit of our customers. We have 34 branches across Cumbria, South West Scotland, West Northumberland, and North Lancashire. We take our social and ethical responsibilities seriously, and in the last financial year donated over £100,000 to support local community, educational and charitable initiatives. To chat to us and find out how we can help, call our Customer Service Team on 01228 403141.